The Iranian regime has systematically abused the population to maintain its grip on power. In May 2018 alone, Human Rights organizations have documented 16 executions, five flogging sentences, 17 murders, the beating of protesters, the destruction of homes, and the forceful cutting off of a young girl’s hair for improper veiling. The United Nations (UN), the People’s Mujahedin Organisation of Iran (MEK), and other human rights groups have collected extensive evidence of widespread human rights abuses under the mullahs’ regime. 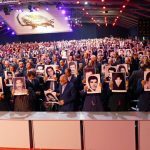 With no end to the atrocities insight and minimal assistance from the international community, the MEK has outlined its own plan to end the routine human rights abuses. The current situation is approaching a crisis point. As the protest movement in Iran intensifies, and the opposition groups get stronger, the regime becomes more repressive and violent. The more Rouhani feels his grip waning, the more violent and aggressive he becomes. Iran now leads the world rankings in both the number of executions per capita and in the number of child executions per capita. For those that are spared the gallows, their fate is no better. There are more than 74 different forms of torture employed in Iranian prisons. Under President Rouhani, the situation has deteriorated. Under the brutal regime of the mullahs, more than 120,000 activists mainly supporters of the MEK have been executed. Since Rouhani ascended to the presidency in 2015, over 3,200 people have been executed on various charges, in order to intimidate the public. The response from the international community has done little to alleviate the plight of the Iranian people. The US introduced its latest round of sanctions at the end of May. However, economic sanctions have been employed in the past, to little effect. The time for words and economic sanctions is over. Neither has proven effective in improving the human rights situation in Iran. The only way to protect the Iranian population from the bloodlust and barbarism of the mullahs is through regime change. Understandably, the international community has been reluctant to endorse regime change. Governments fear that an Iran without the regime would quickly descend into chaos and anarchy. When Western governments had a hand in regime change in Libya and Iraq, the outcome left the countries in a chaotic spiral. However, Iran is not like Iraq and Libya. Iran already has a viable democratic opposition government waiting to fill the power vacuum left behind by the regime. President-elect of the National Council of Resistance of Iran (NCRI), Maryam Rajavi, already enjoys support both at home in Iran and from the international community and Western governments. The NCRI’s ten-point plan is a comprehensive roadmap to a democratic Iran. It includes a detailed outline for the establishment of a peaceful, non-nuclear Iran with a secular government, universal suffrage, and an independent judiciary. The international community must act now. The rampant executions, murders, beatings, and intimidations must end. The only way to put Iran on the path to peace, democracy, and economic freedom is through regime change. The MEK and the Iranian people need international allies in their struggle for a brighter future. It is time for Western governments to step up and be those allies.